Continuing on the colour ringing theme I've also had two different colour-ringed Oystercatchers locally recently. The first was initially seen on 14th January of this year while undertaking a NEWS count at Rossadillask near Cleggan. It took two further attempts to read the coded yellow ring. The bird was rather wary and usually wouldn't allow close approach. I finally managed to read the ring on 10th February. Looking through the European Colour Ring Birding site the only scheme listed as having a single coded yellow ring was a Russian project. I received no response from the organiser so I had to dig further. I just happened to see on Adam McClure's blog that he had a Oystercatcher with the same type of ring which had been ringed in Scotland. As it happens T90 was ringed only 17km or so away from where the colour-ringed Curlew originated from, both within the Cairngorms National Park! 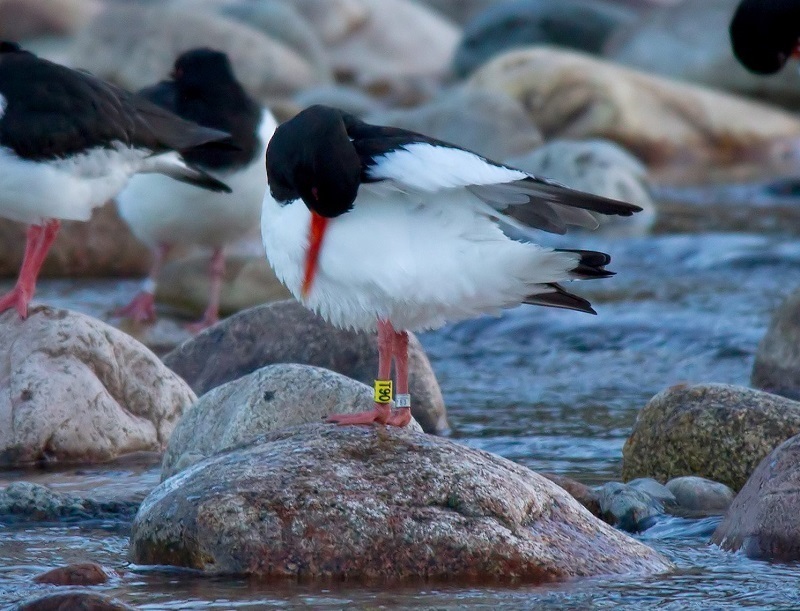 "T90 (Ring No; FH57831) was initially ringed as an adult near Ballater (about 45 miles west of Aberdeen, Scotland) on 29th March 2014. Later that year it was re-sighted twice in a local glen paired up but not noted to have successfully bred. 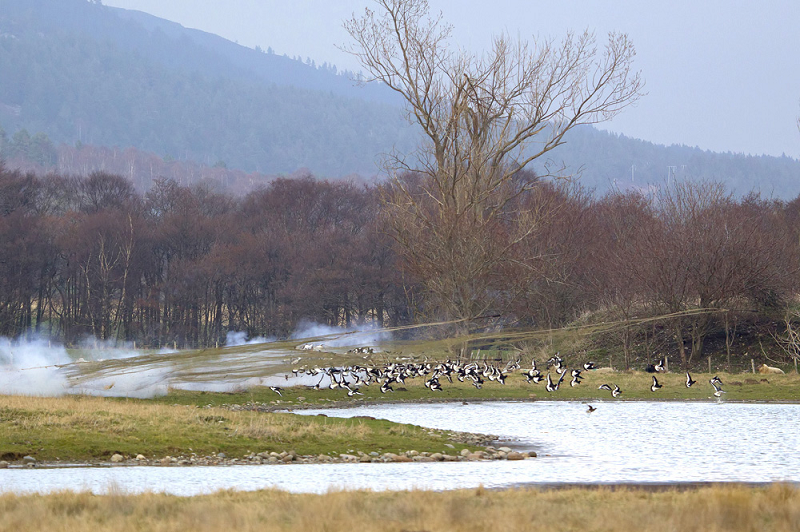 During spring 2015 it was sighted returning to our spring roost site near Ballater where it was seen on 7 occasions between 14th-31st March 2015, then it was last seen on 18th April 2015 in the same local glen as the previous summer where it was hanging around with a pre-breeding flock of 30+ Oyks. 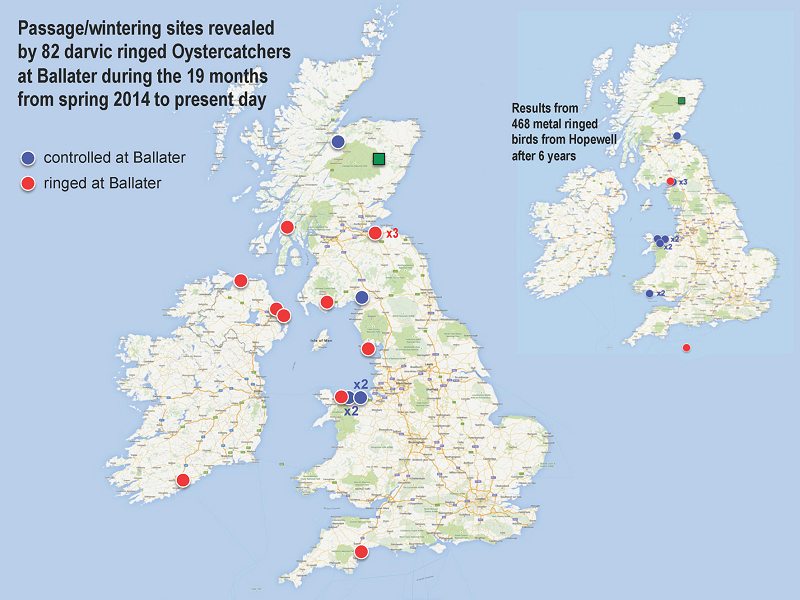 Our efforts to ring and follow our Spring roosting Oystercatchers here in mid-Deeside have been going on for around 10yrs now and to date, after many years of metal ringing these passage Oystercatchers, all the recoveries we've received (c. 5 returns over 6yrs) had shown the birds wintering in the north-west of Wales (see map below). 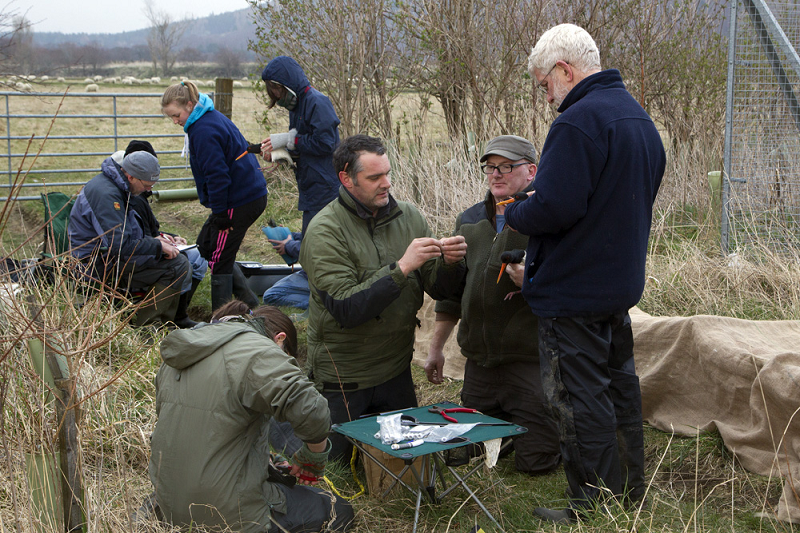 However, at the March 2014 catch we applied the yellow inscribed Darvic rings for the first time on 82 birds. We also dyed several parts of them yellow in our effort to ascertain where the birds at our spring roost disperse to breed – it turns out that so far all sightings of these birds breeding are from the surrounding glens here in mid-Deeside. Since applying darvic rings in 2014 we've been getting a lot more recoveries and they are from a wider variety of locations such as Edinburgh, Devon and I think that's now 6 birds sighted in various parts of Ireland - it will be interesting to see if any more of our yellow Darvic birds get seen in Ireland? Anyway, many thanks once again for taking the time to report this bird, it makes all our efforts when ringing them worthwhile. If you happened to get any further sightings of this bird or other darvic'd Oystercatchers would be gratefully received too, so please spread the word amongst your birding friends as there's obviously quite a few of our birds wintering around your coastline?" T90 Oystercatcher, Rossadillask, Cleggan, Co. Galway, 10th February 2016. T90 Oystercatcher, River Dee, Ballater, Scotland, 25th March 2015, © Harry Scott (Grampian Ringing Group). My second colour-ringed Oystercatcher was seen at the beach in front of Murlach down at Ballyconneely on 5th and 11th February. This was also a less than straightforward bird as the combination of rings yet again didn't match anything on the European Colour Ring Birding site. Paul Troake suggested that it may have been an Icelandic bird with a missing flag. Apparently several flags from this project have fallen off despite the ringers gluing and melting the ends together. It looks like it has lost a green flag on the right tibia. It was ringed as it was incubating eggs at Ölfus, Grænhóll, Iceland (just east of Reykjavik) on 12th June 2015 by Veronica Mendez Aragonf. Thanks to Böddi Þórisson of the for the info. Oystercatcher, Ballyconneely, 5th February 2016. 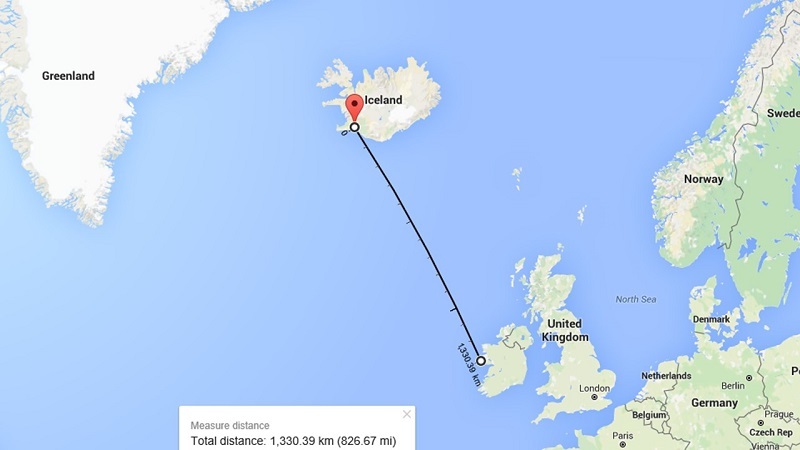 Journey of 1330km from Iceland to Ireland. The Kumlien's, Skate & Ladybird. Connemara Coastline winter of 2015/2016.